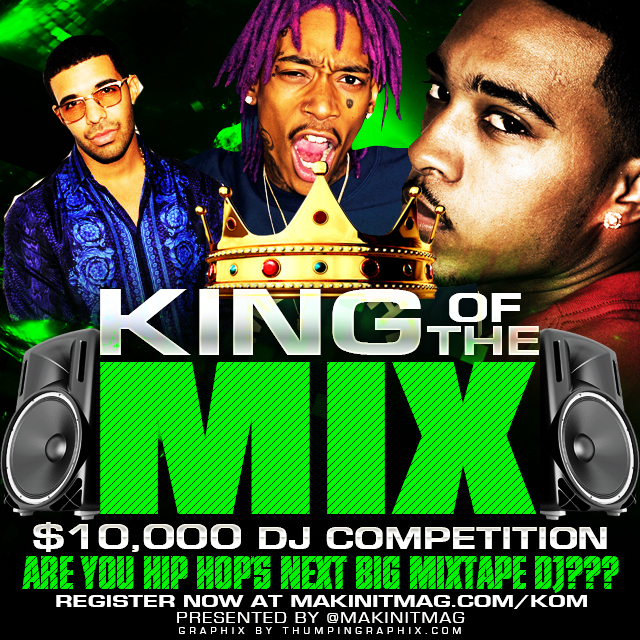 “King of the Mix: $10,000 DJ Competition”! 1. Download official contest Rules. 2. Complete the Mixtape Challenge. 3. Submit Completed Mixtape by Dec 29th. Includes 2 Page spread inside magazine and 3 month promo campaign.15,000 copies distributed to 300+ Recording Studios, Label Offices, Radio Stations and Industry Events including Grammy Weekend (LA), All Star Weekend (NYC), SxSW (Austin, TX), Core DJ Retreat (Atlanta) and Winter Music Conference (Miami). 5,000 CDs Duplicated (Thermal Printed and Packaged in Clear Sleeves with Full Color Insert) + Street Team distribution to Atlanta’s TOP Malls, College Campuses, Clubs and Events. New professionally written bio and media push to secure Magazine Placements, Radio Interviews, Blog Features and exposure for the DJ. 4 Hour photo shoot, New Logo, Website Redevelopment with one year of hosting and Social Media Overhaul including Custom Twitter, Facebook & Instagram Re-Design. ATL Mixtape Release Party/Meet & Greet! up for grabs courtesy of NerveDJsMixtapes.com! 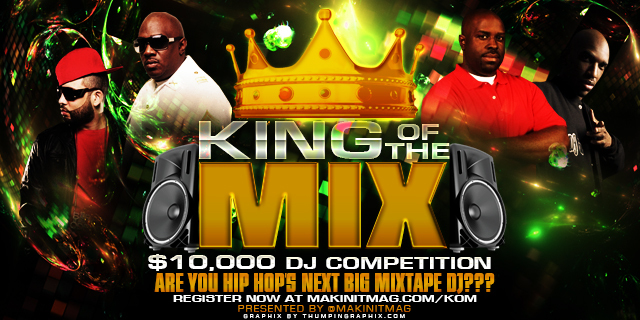 Makin’ It Magazine & NerveDJsMixtapes.com is looking for Hip Hop’s Next BIG Mixtape DJ. 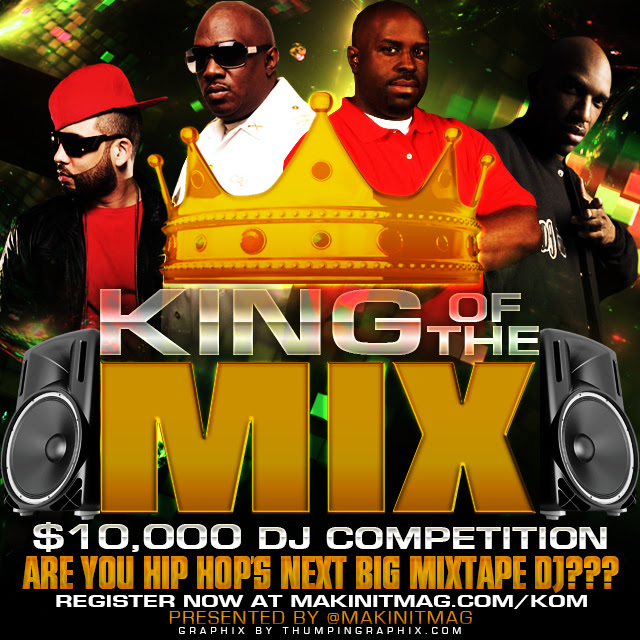 Register NOW at www.MakinItMag.com/KOM to participate in theKing of the Mix DJ Competition for your chance to win over $10,000 in Cash and Prizes. Front Cover of Makin’ It Magazine! Includes 2 Page spread inside magazine and 3 month promo campaign. 15,000 Magazine nationally distributed each quarter to top recording studios, label offices, radio stations and industry events in over 100 Markets. DJ Issue will be distributed during Grammys in LA and SxSW in Austin, TX. 5,000 copies of winning Mixtape duplicated with Street Team Distribution at Atlanta’s top Night Clubs, College Campuses, Retail Locations and Events. Mixtape featured on homepage of Datpiff, In rotation at the top of the Mixtapes Page and Tweeted from the official @Datpiff account for one week! FREE Registration. No Purchase Necessary. Win FREE Membership or Premium Email Blast! Click the link below to Tweet about this opportunity to automatically be registered into our FREE weekly drawing for a FREE makinitmag.com Membership or Email Blast to 26,000 industry contacts. Post contest flyer with following message on IG and Facebook for a chance to win a dedicated email blast to 26,000 industry contacts.